Many employers know that a Physical Job Demands Analysis involves a health professional outlining the physical aspects of a specific job position. These are common in manufacturing or production industries where jobs can be heavy, repetitive, or require high physical demands. But these reports are seldom helpful if an employee suffers a brain injury, cognitive or emotional impairment and their return to work issues relate to cognitive or psychological changes and not necessarily physical impairment. A Cognitive Job Demands Analysis is an objective evaluation of the specific cognitive, emotional and psychological skills required to perform the essential job duties of a given position. As mentioned, traditional Job Demands Analysis typically address only the physical components of the essential job duties. Yet, jobs are multifaceted and performance at work depends on the interplay of human physical, cognitive, emotional, behavioral and environmental factors. As such, having a cognitive job demands analysis in conjunction with a physical job demands analysis is ideal, or these can be completed as a standalone assessment if required. Cognitive job demands analyses can be helpful in providing a baseline measurement tool against which an individual’s cognitive and psychological capacities may be compared, such as when hiring new employees, developing and implementing training programs, or to assist in return to work post injury or illness. These comprehensive and detailed assessments can be utilized when any health condition (cognitive, physical, or emotional) impacts an employee’s thinking, cognition and/or their interpersonal processes and abilities. A comprehensive job demands analysis should include comparisons of the information obtained to standardized classification data related to occupations, such as those outlined by the National Occupational Classification 2011 proposed by Human Resources and Skills Development Canada. After a report is generated, recommendations and interventions for consideration can be developed. Do you feel that your organization has positions that need to be outlined via a cognitive job demands analysis? 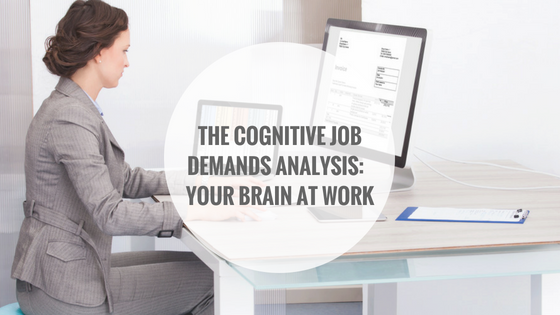 Do you have more questions on how a cognitive job demands analysis can be used in the return to work process? 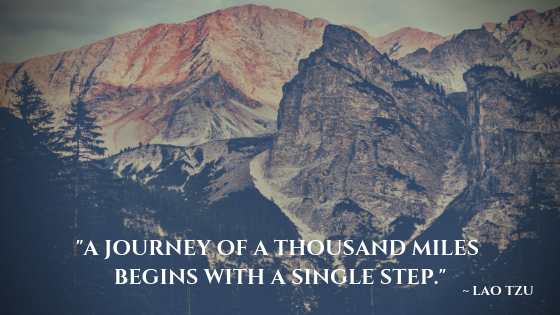 If so, seek out the services of an Occupational Therapist, or contact us for a free consultation. For additional informative posts on workplace health and wellness please refer to our Healthy Workplace page. Haruko Ha, D., Page, J.J., Wietlisbach, C.M. (2013). Work evaluations and work programs. In H. McHugh Pendleton and W. Schultz-Krohn (Eds.) Pedretti’s Occupational Therapy Practice Skills for Physical Dysfunction (337-380), St. Louis, Missouri: Elsevier Mosby.